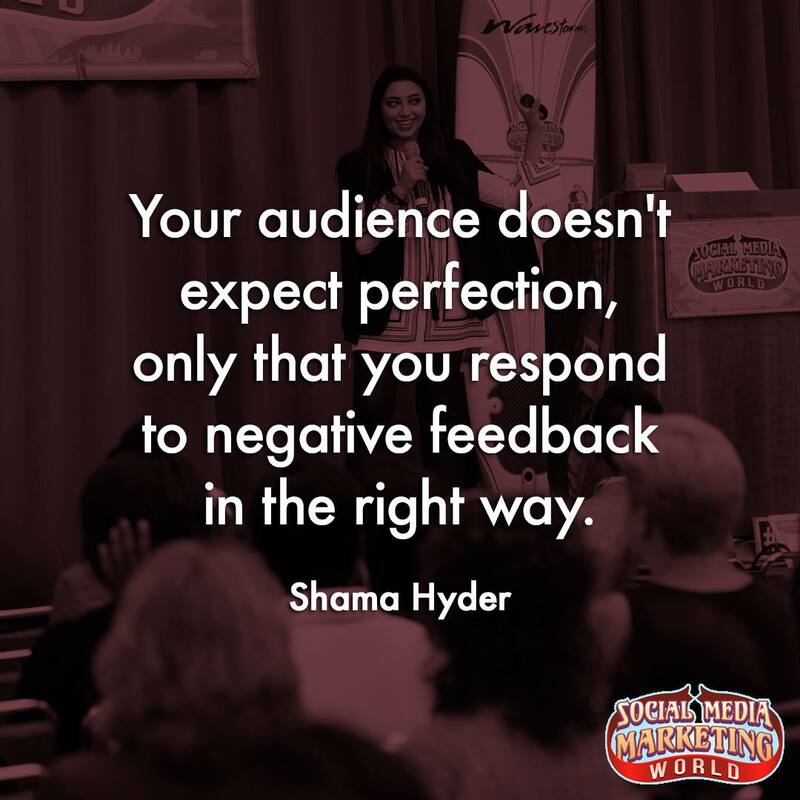 SMMW17 in San Diego had so many amazing presentations and even more useful tips and tricks, that we had to break our takeaways into two posts. We tried to concentrate on the essential matters. However, the presentations that we didn’t include were no less great. So, if next year you can’t be there in person, getting the virtual ticket is definitely well worth the money! Now, let’s dive in! 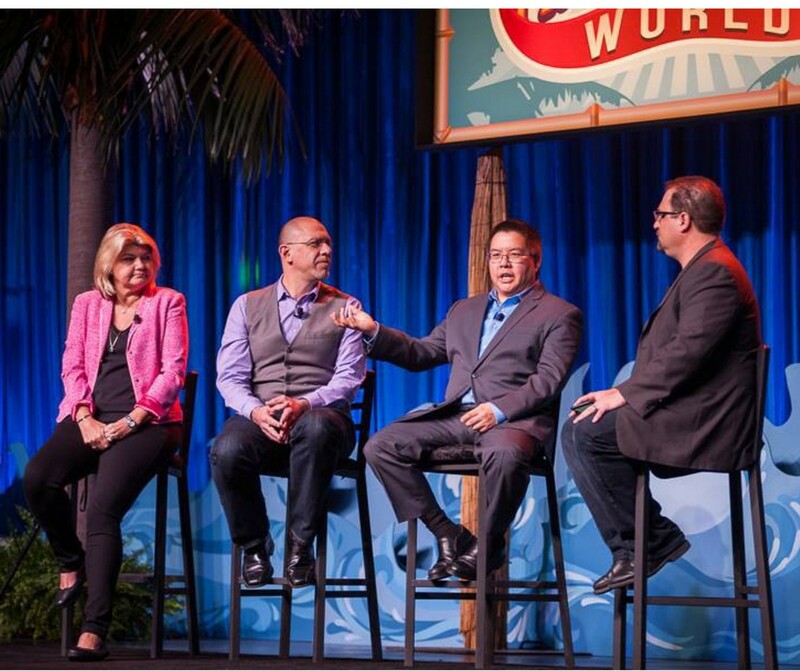 When we saw Joe, it was exciting because he shared 10 Ways to Monetize Your Content. Originally, the lines of distribution were owned by big companies. Now everybody can create content. This has created a Channel Explosion. Remember, how we always tell you that “content is king”? Instead of communicating through someone else’s channel, you need to create and distribute your own amazing information and build audiences. Keep an eye out for Joe’s latest book, “Killing Marketing” – coming out in September. It’s about how innovative businesses are turning marketing cost into profit. Joe explained how you build your audience and actually 99% of organizations do that wrong. 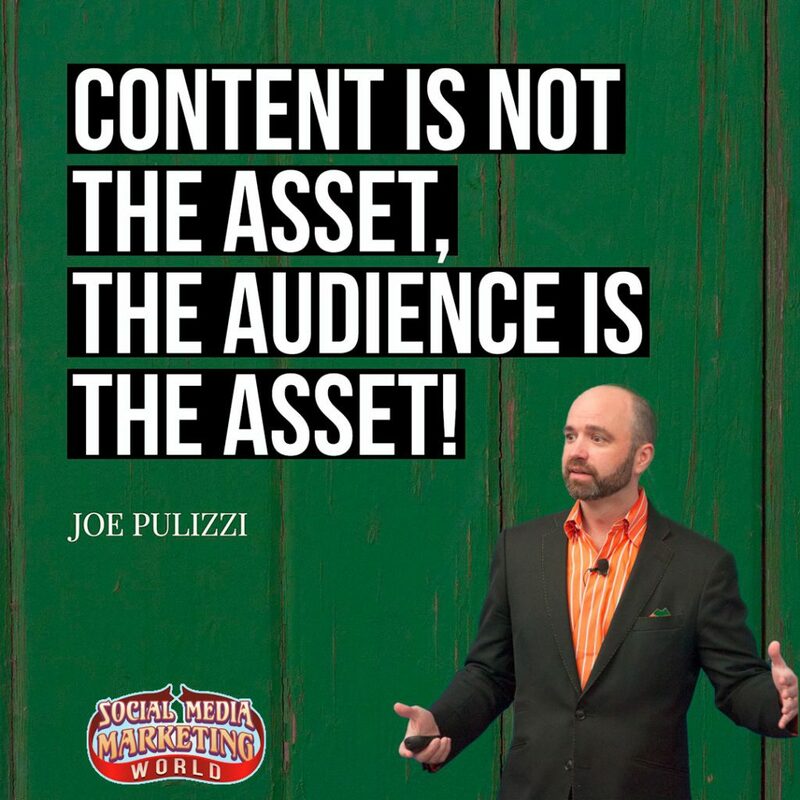 Content creation is not an asset. Joe explained that you need to have a content brand. We know already that if you just have a company and a blog, that’s not a content brand. You need to know what you represent and what you are telling people. Because that is your content brand. We’ve talked before with you about how your content needs to stand out from your competition. So how does yours differentiate? Joe suggested creating a content marketing mission statement, which is a fantastic idea! Your base is very important. You need to choose one content type, such as video or podcast. Then also one main platform such as site or blog. Consistent delivery is critical, it can’t be simply Monday and Wednesday, but Monday and Wednesday at 10 am. Be patient and understand that it can take a long period of time (up to 18 months) to become successful. If it doesn’t work for you, look for something else. We’ve talked before about how important it is to build your subscriber base. So we were pleased to hear Joe talk about this topic. He explained that if you aren’t actively building your subscribers, you are leaving the control of them to someone else. He recommended on focusing on e-mail subscribers as a key metric. When you have a list, you can monetize it. YouTube decides whose video to show, Facebook as well. Email subscribers are all yours. Build your email list. Keep in mind that Moz started a consulting company, then a blog, then came the shows, etc. Your marketing should be a profit center. Joe shared with us his own results. They started with a blog in 2010. Every day seven days a week. 2010 revenues – $75,000, in 2015 – $10+ million. We agree with Rebekah, that you build trust through a consistent brand. As a content creator, tying your branding to everything you write creates awareness and that leads to traffic and sales. People will identify your brand with visuals they see on your page. Rebekah says to design with your audience in mind and find out what fan pages they like, their location, activities, and even purchase decisions. Are these images about lifestyle or vector based? We think that’s very smart. Use Facebook Audience Insights to define your target audience and create visuals according to their preferences. See what other pages they like and what type of visuals are shared there. Rebekah encourages us to find our own style. Look to successful brands to see how they’ve done it. Starbucks teaches us a valuable lesson – sometimes less is more. Especially when it comes to visual content. Single focus: hand and a Frappuccino. Nike understands the mentality of their target audience, and they use this knowledge to effectively showcase their brand. Go to each social network to research further. Look at Instagram hashtag hubs (top trending posts). You can also go to Search and write your keyword, a product for example and see most popular images for this word search, we’ve done this and have had excellent results! Use Pinterest to see what style is trending in your industry/niche. ・ How do the images make you feel? ・ What’s the sense you get of the brand? ・ Would you want to do business with them? Color psychology plays an enormous role in how our audience interacts with our brand, how it responds. Choose a color that best represents your company personality, the feelings you want to impart and the action you want them to take. Start with your main color. You can use an online color picker. Try one of these tools: colordot, colors.co Or you can upload your image to imagecolorpicker.com Another option is to download a Chrome or Firefox extension to find colors you like online. Composition is the main key to create highly shareable visuals. Easy to read, easy to get the point – a good composition. Similar elements draw the eye and create consistency. Think about what is your main font. It should be super easy for people to read your content. We’ve seen what an impact this can have on social and your site too. Your font expresses your company personality and has a direct impact on your conversions. HubSpot did a survey and found that using 3 font styles makes it easier to read content. When choosing your font, ask yourself the following questions: is my company fun, silly, entertaining, serious, or straightforward? Is my content fun, silly, entertaining, serious, or straightforward? Ask yourself: “Is it relative to my topic and audience?” Make sure the image has a bold focal point. Choose images that are clear and easy to view. But! Don’t use a corporate-style stock image (Fake vs. Authentic). And don’t be the same – break all the rules. To be remembered, you must make an impact. Create unique and memorable images that consistently stand out in the feed. Always add a watermark – logo, hashtag, or a slogan – to all images, so they can’t be copied by others, this is something that we highly recommend! What are your audiences’ goals when they come to the website? Who would you say are your three biggest competitors? How does your company differentiate itself from these competitors? We agree with all of this, and highly recommend you add the e-mail newsletter with an ETHICAL BRIBE so people are attracted to your offer. Whether you hire a copywriter or do-it-yourself, here are some great tips on making your copy always look professional at your site. Keep these tips handy! What Social Network is Right for You? ・ Does my ideal customer use this platform? ・ Can I engage with my ideal customer here? ・ How do I convert my ideal customer here? One thing we know we’re really going to be paying attention to is this: technology, with the help of AI and bots, will become easier to work with! Isn’t that fantastic? So marketers need to think how their brand can be personified through the bot as it offers a more personal experience than an app. Ask yourself: How is Social Media going to evolve and change in the next years? It was interesting to hear from the panel that significant part of what Social Media is today is easily automated by chatbots. If you do it with a template today, a machine will do it without you tomorrow. You’re going to be thrilled to know that “busy work” will soon be a thing of the past. All the stuff that you do in your daily work that’s repetitive, bots can take on that task and free you up to do more interesting things. We’ll be able to be more creative with what we do. For example, if we are able to try 2-3 versions of a post or an ad, we’ll be able to try 2000 of them in parallel. What do you need to do to stay ahead of the curve? The panel’s hot tip: learn Ruby or Python languages as a marketer, at least the basics, and that will let you be able to expand what you do. Because so much of machine learning and deep learning is available in these languages and a lot of it is free. Shama said something that we’ve always encouraged you to think about: that social media is not just Facebook, Twitter, etc. Social media is not just the platform, the platform is secondary. Social media really means that people are the media. How we share information, how we make decisions, has all changed. Understand that the primary reason people use social media is to showcase their own identity. Education, Transparency, Choices. Know that this is how you attract = you educate. It’s wrong to not want to share info, because of a concern that competitors might see it. Your best bet is to outeducate your competitors. Being able to curate, being able to turn data into wisdom is what gives you power. 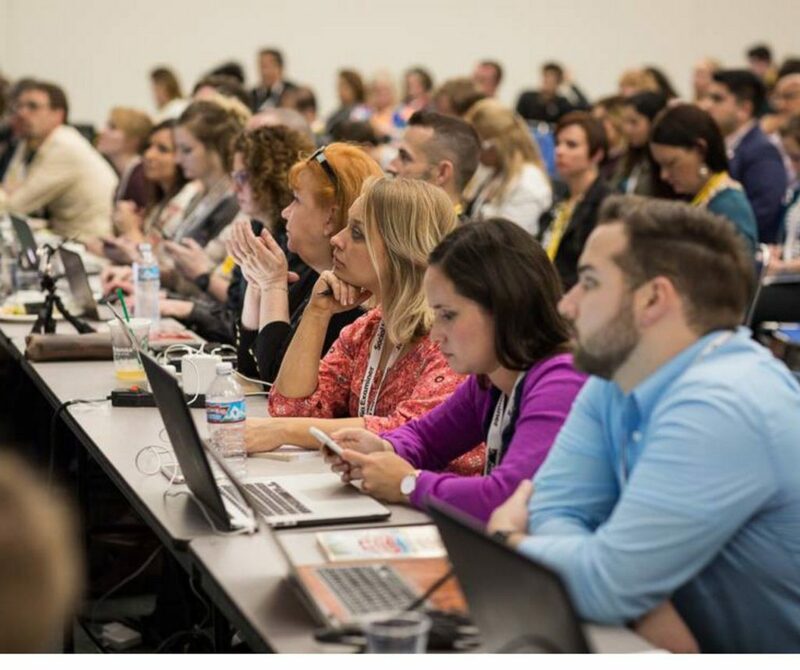 To us, this is taking “content is king” to a much higher level, understanding how to “best” your competition and becoming the expert in your niche. Know that people want to do business with human beings, so being transparent is crucial. What people respect is how you respond to possible negative experiences someone might have with your product or service. So just as we’ve explained to you, if someone posts on social media about your product or service and even if it is negative, it is best to respond in a way to attempt to repair the customer relationship and to help others understand how your brand helps people in every way. Today’s consumers are also so used to having lots of choices. It is critical that you give people choices how to engage with you. We’ve always recommended that your content can be similar across platforms, but it’s ok because people get to choose. Always remember this: sharing your customer “success stories” is what helps to attract your next customers! If anyone made it to the end of this post, we’re glad to have you here! We hope you were able to learn something valuable and will start implementing it for your business today. And if you had any hesitations about attending SMMW, they have got to be all cleared out by now! See you there next year.